My 06 is on it's way around the world. I sold it two months back to a world traveller who wants to take it through Europe to India and beyond. 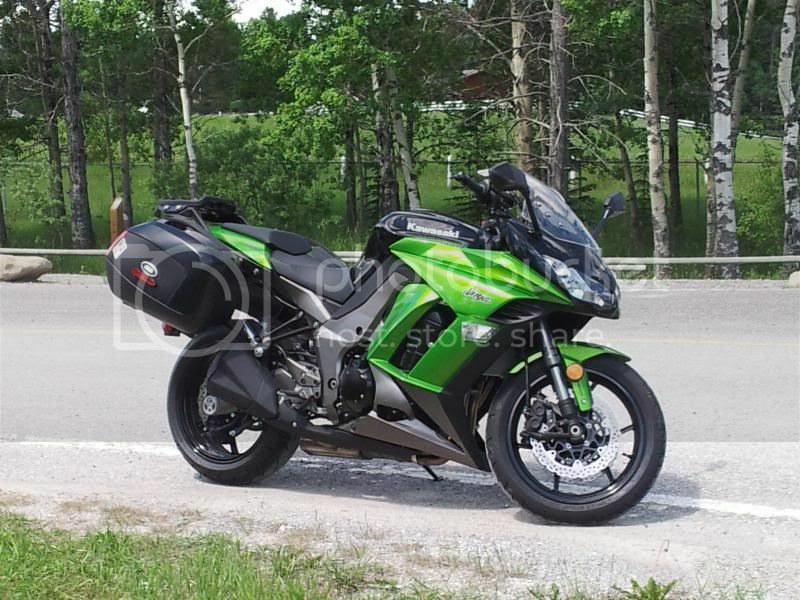 I tried to buy a new Bandit - but Suzuki is not shipping them at the moment so --- I bought a Ninga 1000 ABS. It is very nice. Very nice indeed. Re: Been a while and I'm moving on. I bought a Ninga 1000 ABS. It is very nice. Very nice indeed. to the "Former Bandit Owners Who Now Ride Kawasakis" club. For those who are too young to understand the problems caused by typing on a cell phone --- A Ninga is a Ninja with fat fingers. Still working on the photo. Glad to see you are still around!! The Ninja 1000 is one of the few new bikes I think I might be interested in, but the Sprint is still doing well, even better now that it's on new RaceTech legs. Hope the Ninja works out for you. Drop us a line, and let us know how you like it, especially on long trips. What mileage did you put on you Bandit before you got rid of it? So far the Ninja is just working like a charm. Very good front end feel and solid suspension. Planning a week in the interior for the second week of September - taking the chicken way out and using my bike trailer to travel with. I am so tired of riding home in the rain, hail and snow.